In a world where Donald Trump is president of the United States, local politics take on a heightened importance. Next Tuesday, Ald. Zach Wood will square off with Madison resident John Terry Jr. to represent District 8 — which has a constituency comprised largely of University of Wisconsin students — on City Council. As seen in other recent local elections, both candidates are well-intentioned. But when it comes to policy and political prowess, one clearly excels. In this race, Wood is the candidate who combines noble intentions with tangible solutions. He boasts a well-rounded knowledge of student interests and has the ability to advocate for them. Wood and Terry come from starkly different backgrounds, and both touted their personal perspectives as beneficial for the city government’s diversity in separate interviews with The Badger Herald. 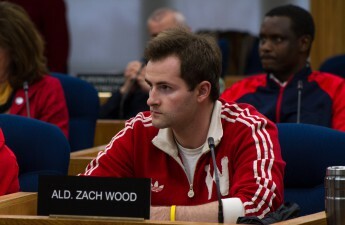 Wood, 23, runs heavily on the fact he is soon to be the only current council member under the age of 30. 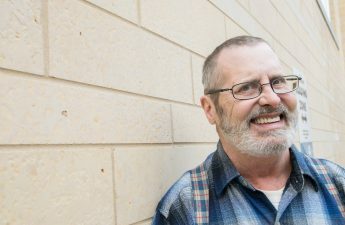 Meanwhile Terry, 61, said, if elected, his previous experiences with homelessness would bring a new level of empathy for Madison’s homeless population to city politics. Terry would certainly bring a much-needed fresh perspective to a city that has a mayor hell-bent on criminalizing homelessness to the tune of panhandling and various downtown sleeping bans. 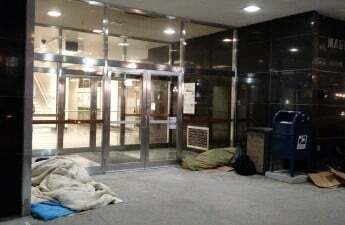 We hope the city will tap Terry in some capacity to advise on issues surrounding homelessness. While proximity in age is not a strict requirement for understanding college students or our interests, as a recent UW grad Wood simply has more knowledge of the university’s inner-workings, an area Terry admitted he has a lot to learn about. For example, Wood suggested forming a partnership with UW house fellows so he can introduce himself to new freshman every year. Wood hopes such a program would help foster long-term awareness of city politics in a district that gets a new wave of student constituents every year. But even with identity politics aside, Wood demonstrates the leadership, skill and temperament we want representing UW students’ voices in the wacky, sometimes downright weird world of Madison city government. 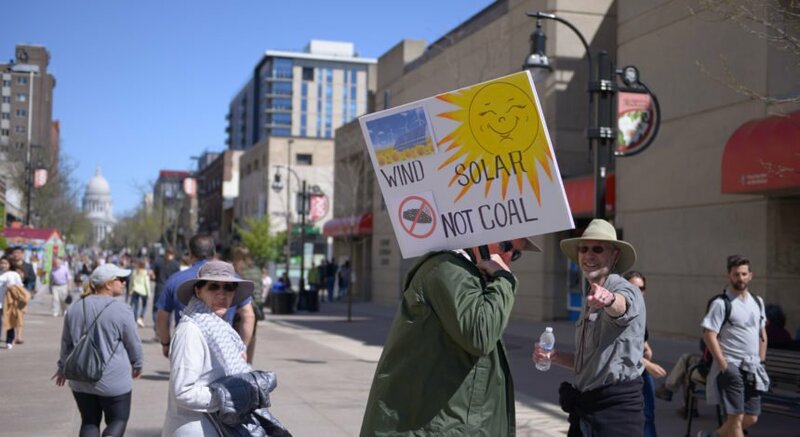 Whether it be beefing up the city’s student housing policy, pioneering the recent resolution to be 100 percent renewable and carbon-neutral or offering a startling sound perspective on the mess that is liquor license regulation on State Street, Wood has a talent for navigating the nitty-gritty of local policy. One area Wood offers innovative, tangible solutions in is affordable housing and landlord-tenant issues. With construction cranes and freshly minted luxury apartments dotting the downtown landscape, Madison’s recent development surge has brought housing issues to a head. Micro-units are apartments that range from around 300 to 500 feet; they have been popping up in cities across the country including San Francisco, Washington, D.C. and New York. Such units add population density in cities where space is at a premium. In other words, for a city that sits on an isthmus, it could be an ideal solution to tackling housing issues. Wood said he hopes to work on having micro-units come to Madison, where they would be another option for students and other budget-conscious residents. At the end of the day, Wood is a seemingly perfect fit for city government. 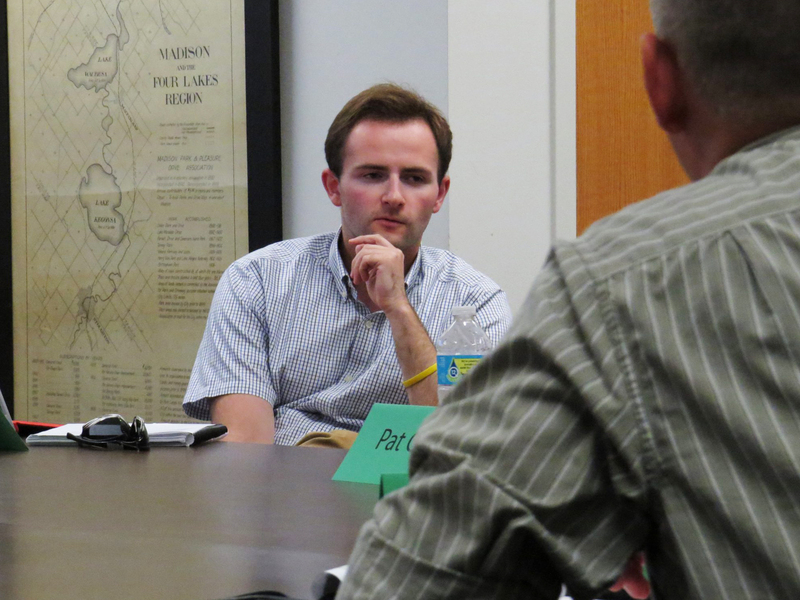 The first-term alder smoothly transitioned into city government during his last semester at UW and has built a solid reputation in the relatively short period he has held office. Frankly, we won’t be surprised if he makes a run for mayor somewhere down the line, should he stay in city politics. But for now, we are happy to endorse Wood for another term advocating for student interests on City Council.